Advanced technology, comfort and functionality come together in THERMOFIBRE™, an innovative insulating padding, exclusively developed and patented by Napapijri’s parent company - VF Corporation, global leader in the design, manufacture, marketing and distribution of branded lifestyle apparel, footwear and accessories. Since its founding in 1987, Napapijri has always been sensitive to the issues of sustainability and respect for the environment. For Fall/Winter 2015, the brand introduces THERMOFIBRE™ insulation to its outerwear collection as a substitute for down. 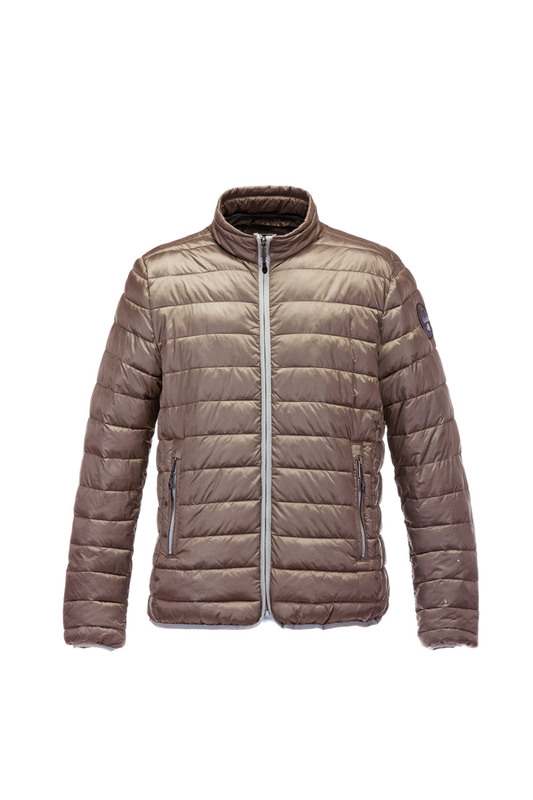 THERMOFIBRE™ is constructed from ultra-lightweight microspheres which create a soft, quilted texture, guaranteeing exceptional temperature regulation and insulation, in addition to being anti-bacterial. In particular, the Fall/Winter 2015-2016 collection sees the special THERMOFIBRE™ teamed up with various shell materials, to create Aerons: a functional, easy-to-wear style that is a staple of any wardrobe. THERMOFIBRE™ insulation is found across the entire range of NAPAPIJRI’s AERONS jackets – a versatile, every-day outerwear style which combines lightweight, durability, practicality, and cold-weather protection with a sleek, modern aesthetic that is just as at ease on the street as it is outdoors. The AERONS jacket comes in a wide range of colours and fabrics, all featuring the easy-care and easy-to-wash qualities intrinsic to THERMOFIBRE™ technology. The AERONS range includes variants in Nylon, also available in an array of bright seasonal colours, EcoLeather, which brings the wind and waterproof properties of genuine leather to an animal-friendly, colourfast, easy-care material, and a Superlight Stretch treated with a special laminate, rendering it wind & waterproof and finished with a stretch lining that ensures maximum comfort and freedom of movement.